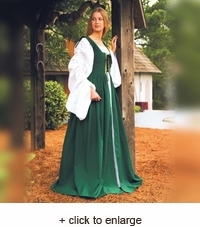 This is a perfect dress for the faire or going off to market. This colorful 16th century styled dress features coordinating front trim and re-enforced boning in the front bodice for extra strong tight lacing. We have paired this piece with the Celtic Chemise(sold separately), however it will look lovely with any of our other chemises. 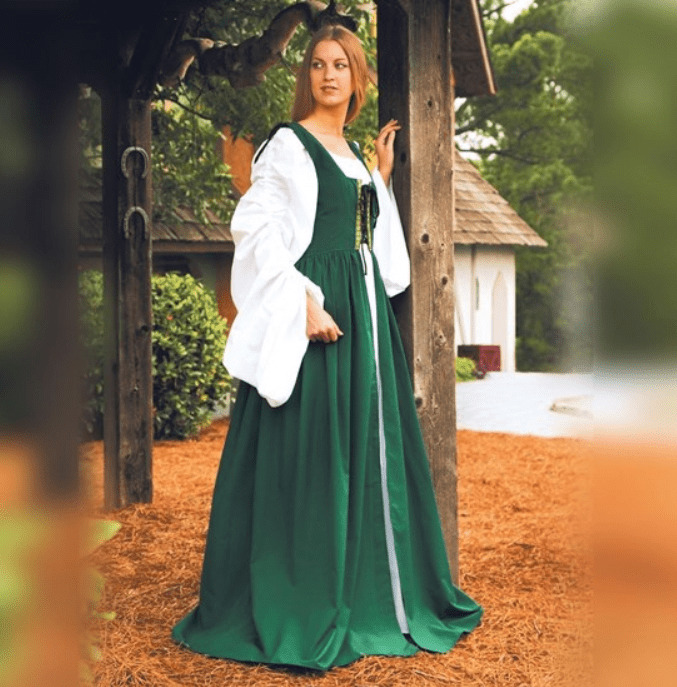 70% rayon, 30% cotton, a very lightweight dress for hot faire days. Dry clean only.